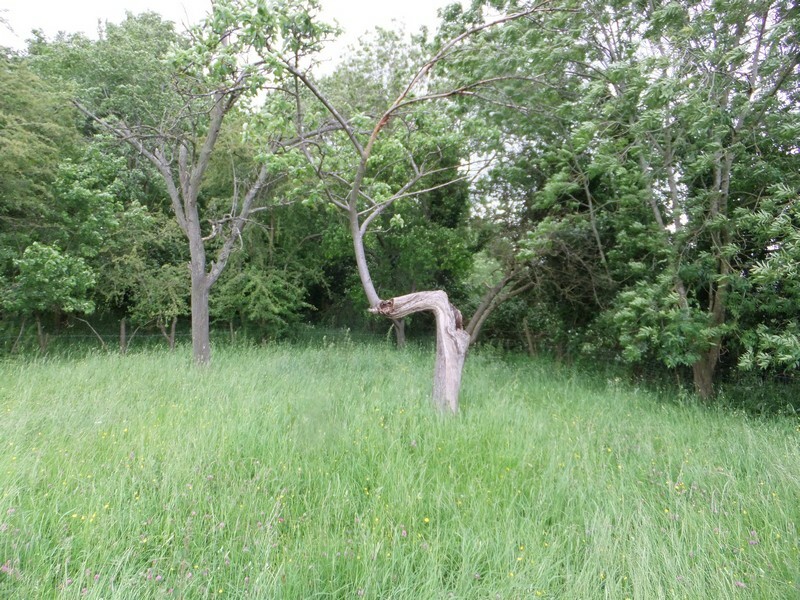 On June 8th 2012, Chris Parsons, Derek & Chris Foster and Viv Phillips from DMG’s committee visited land along Stantway Lane near Westbury. Some of the land was used for growing vegetable crops more than 20 years ago but it has been grassland ever since. There are 3 fields and the general impression was of a mixture of grass-dominated areas and some species-rich, more flowery patches. 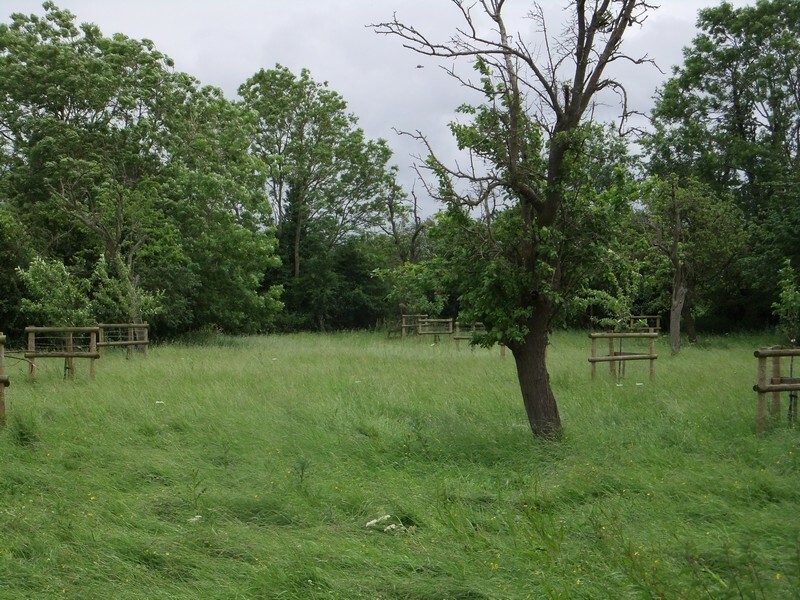 At the end of the first field there is a small copse planted in the 1980s and the old orchard has recently been restored with new fruit trees at traditional wide spacing whilst retaining the remaining old fruit trees. There are trees and tall hedge shrubs in the field boundaries, all contributing to the habitat diversity of the site. The fields are cut for hay and then grazed by sheep which are owned by the next door farm. At first sight the first field looked very grassy ( this year grass growth is particularly heavy) with a large amount of cocksfoot visible and other species including soft brome, false oat grass and perennial rye grass. However on closer inspection there were finer grasses and wild flowers present in small amounts including black knapweed, ribwort plantain, self heal, ox eye daisy, red clover and meadow buttercup. Nearer the copse there were the seed heads of many cowslips and signs of violets. The newly restored traditional orchard looks lovely and here the grassland was a lot richer and grass growth was less dense. Additional wildflowers were seen including birds foot trefoil, common catsear, meadow vetchling, sorrel, goatsbeard and agrimony; in quantities to give a flowery show. Meadow brome and yellow oat grass were added to the list of fine-leaved native grasses. The third field has a plant community less rich than the orchard but more diverse than the first. Overall the whole site has a wide range of valuable habitats because there is so much variety in both habitat structure and species in a relatively small area. 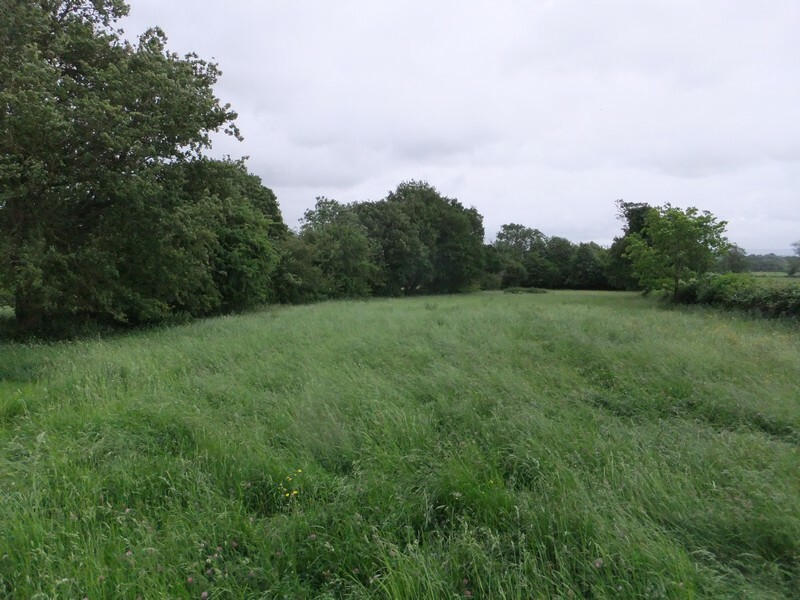 The mixture of hedges, trees , grassland and rough areas is likely to be of value to species such as slow worm, grass snake, toads and small mammals as well as birds and insects. The current management is working and the spread of wild flowers will increase. Sometimes the year to year improvement can be hard to see but taking hay and grazing are traditional, ideal management.